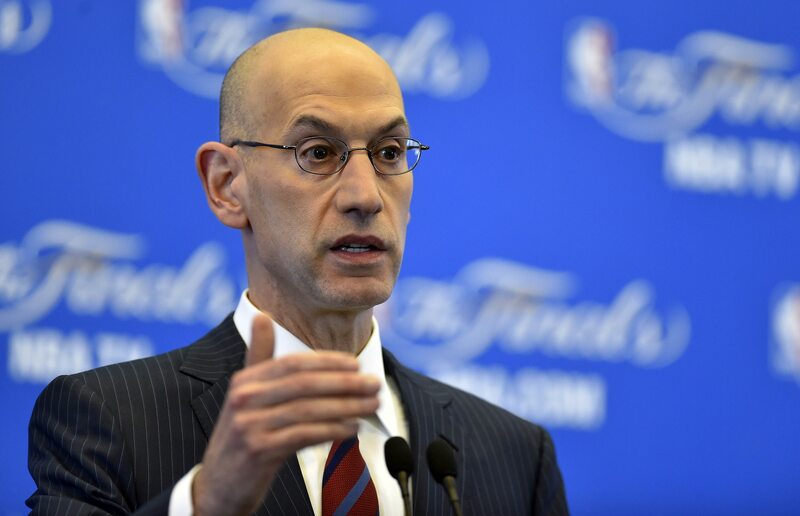 Probably more so than any league head in the four professional sports, NBA Commissioner Adam Silver is in tune with what his players think. Since taking over for David Stern in that role back in 2014, Silver has made it a priority of his to make sure NBA players are individuals. That they can take stands and give opinions on the biggest issues of the day. This apparently hasn’t helped some overcome the anxiety that players feel in the social media age. Silver spoke recently at the MIT Sloan Sports Analytics Conference in Boston and gave this rather damning assessment of mental health in the NBA. The commissioner noted that the feeling he gets from players after meeting with them is that they are isolated and unhappy. Given the unparalleled success NBA players are seeing in the modern age, this has to be considered somewhat of a surprise. Then again, economic health and popularity have never really helped those in the public eye overcome mental health issues. Stars DeMar DeRozan and Kevin Love have previously opened up about their own mental health struggles. At a time when we’re becoming more aware of mental health, the stigma surrounding this growing issue is no longer what it used to be. By opening up about it, Mr. Silver is at least doing his part to help further the conversation.